Port Adelaide Pioneers… gravesites gone. 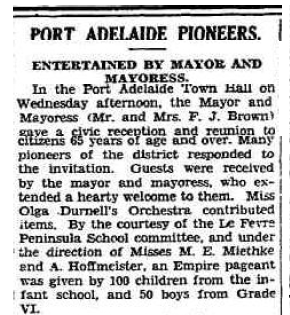 The great esteem shown to their local Pioneers by the dignitaries, and residents, of the Port Adelaide district is clearly shown in this report from the Adelaide Advertiser (Thursday, 4 Oct 1928, page 14.) describing the Civic Reception and entertainment held in their honour. One of the Pioneers, mentioned a little further down in this rather length newspaper article, and honoured on that day is Mr F.L. Le Leu. Mr Le Leu died on 30 Aug 1945, aged 89 and was buried in Cheltenham Cemetery, South Australia. A search of their site sadly shows that his gravesite has been re-used/ re-cycled and there remains no signage to mark this Pioneer’s life. The civic respect and gratitude, shown in 1928, did not continue. 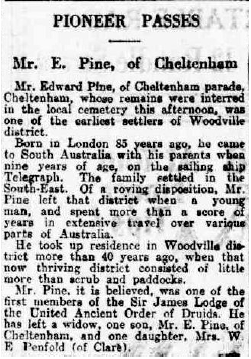 On Monday 7 October 1929 (page 9) the Adelaide newspaper, the News, reports the death of Mr E. Pine who was reported to be “one of the earliest settlers of Woodville district. This highly regarded early Pioneer was also laid to “Rest In Peace” in the Cheltenham Cemetery… However the records show that he too did not remain respectfully laid to rest for Mr Edward Pine’s gravesite has been re-used and re-cycled, with another taking up his burial place and his memorial gone. 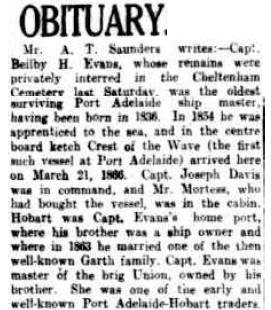 When reading the huge number of glowing newspaper reports about Captain Beilby H. Evans, and his pioneering contribution to the development of South Australia, I felt quite confident that his gravesite would still be intact. Here is the introduction to his lengthy Obituary which gives some idea of this mans extreme importance in the European settlement of South Australia. Clearly even Captain Beilby H. Evans was not considered worthy enough to have his “final resting place” maintained and protected. The disgrace of it is here, for all to see, on the Cheltenham Cemetery Website. Just a little research showed that the grandson of Captain Evans died during WW1 in France and I wondered if there had been a memorial to him on his Grandfather’s grave? This was common practice but maybe not, in this case… Hu knows??? 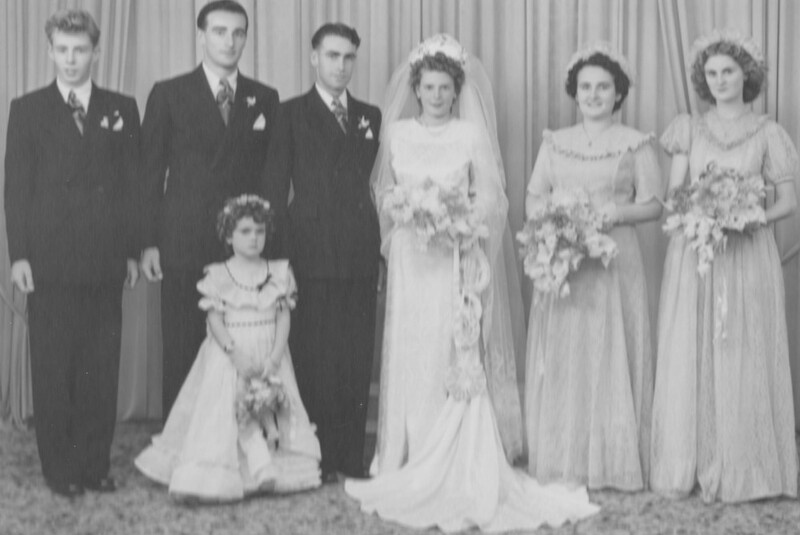 Well, there it is… just a brief outline of the many “Portonians” (Port Adelaide Pioneers) whose contributions to the settlement of South Australia have become ignored, and overlooked. No longer feted and celebrated… the final insult being the desecration of their gravesites. Sadly, it’s seen as more important to accommodate the wishes of “newcomers”, who want to be buried close to where they live. Just too sad 😥 Surely there must be a way to bring an end to this. A way which meets the needs of all. 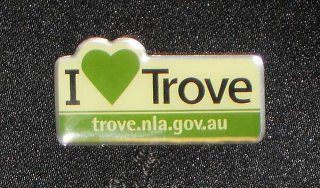 Thanks to the National Library of Australia for the Newspaper articles.